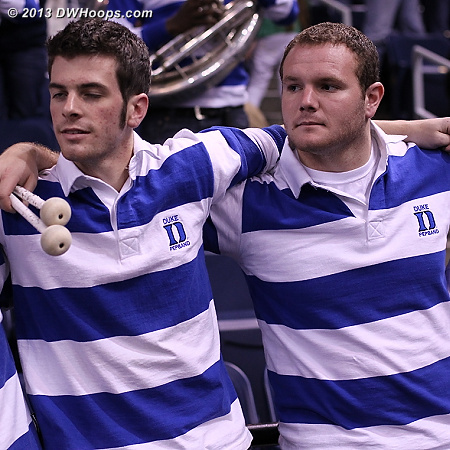 All photos are published, including additional premium photos for our members. 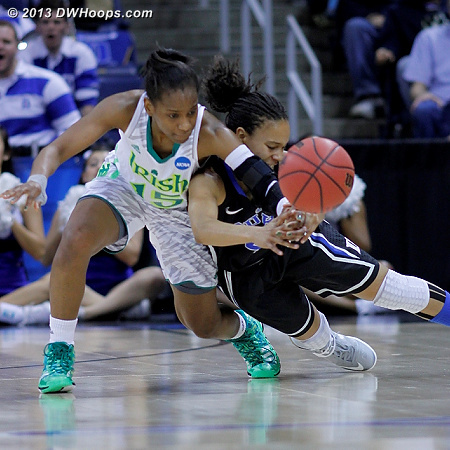 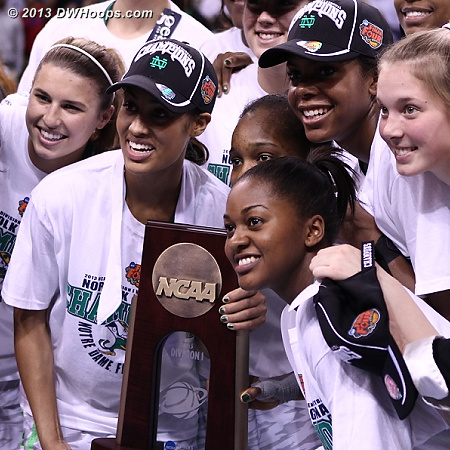 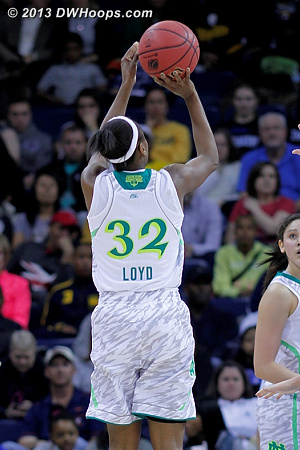 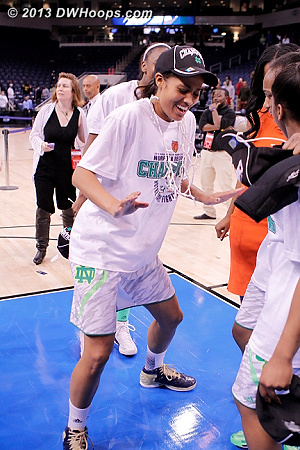 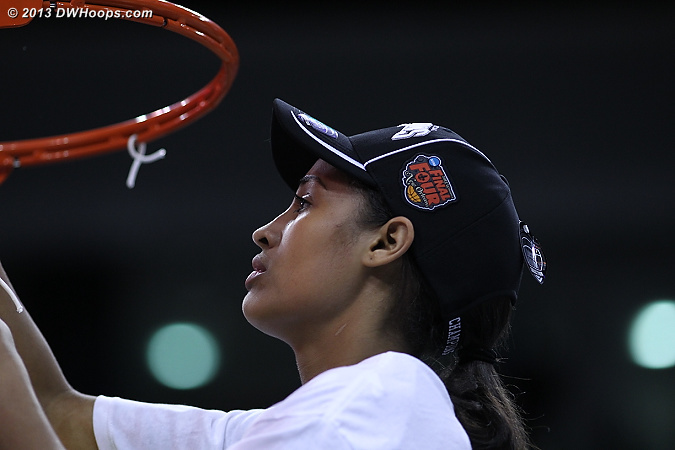 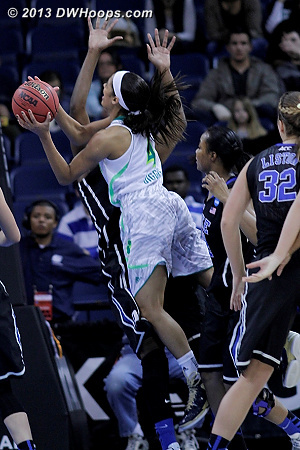 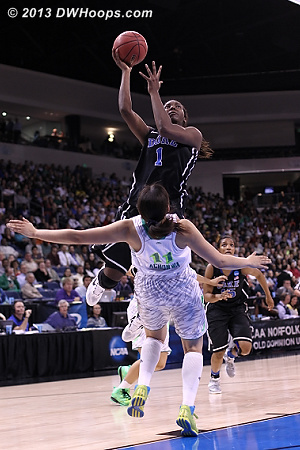 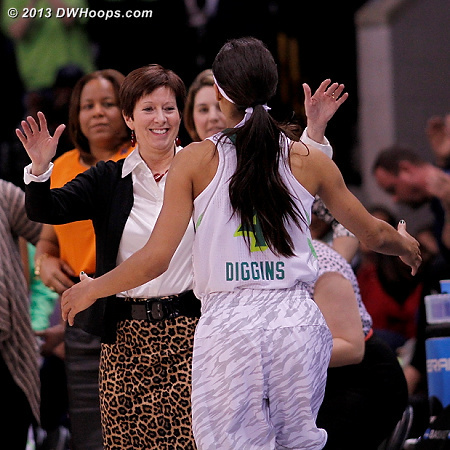 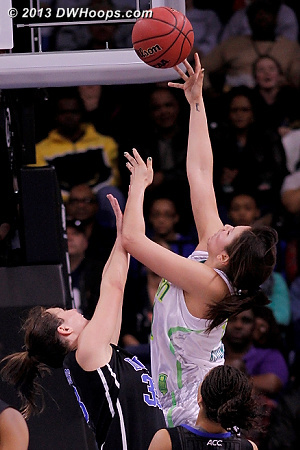 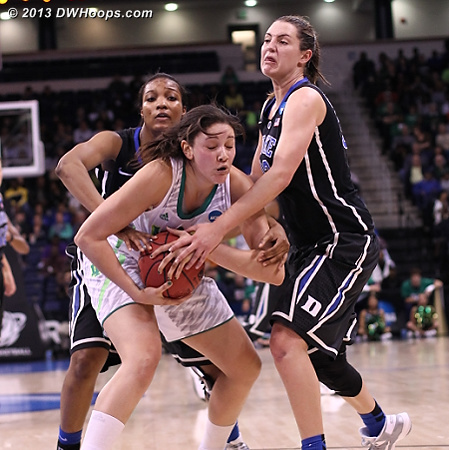 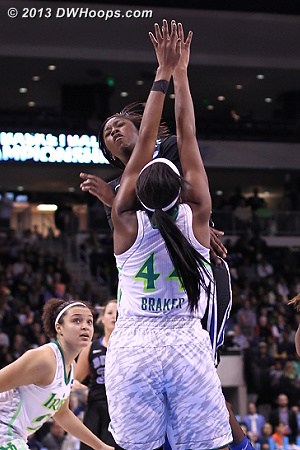 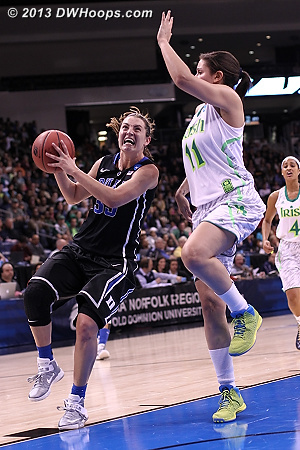 A major turning point was Diggins being called for two early fouls, including this charge. 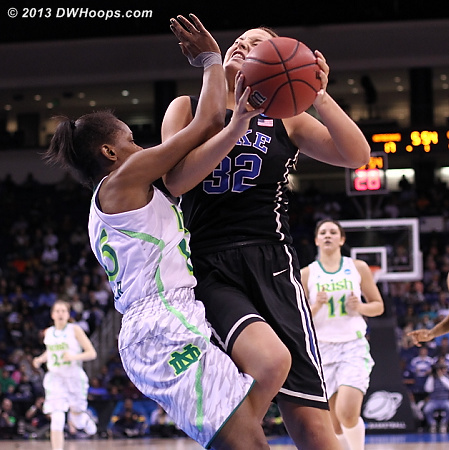 Alexis Jones whistled for the charge, her second foul. 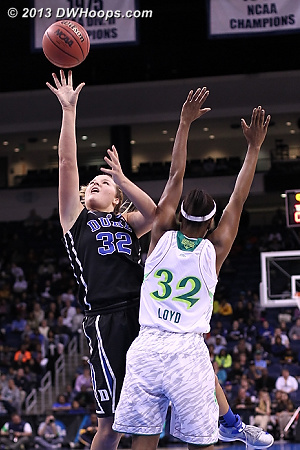 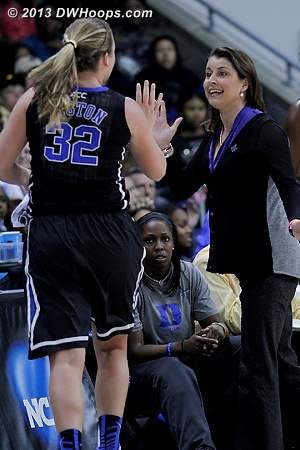 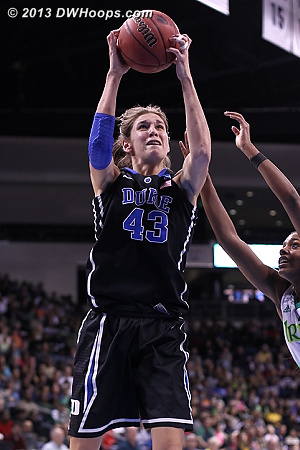 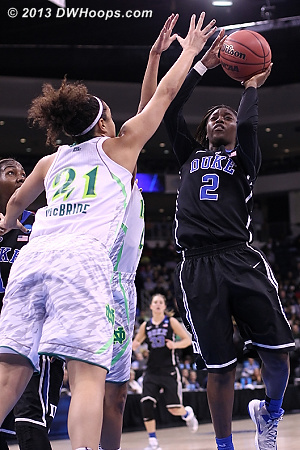 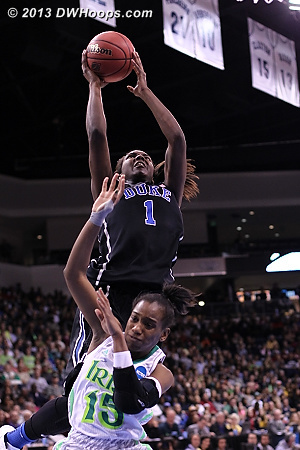 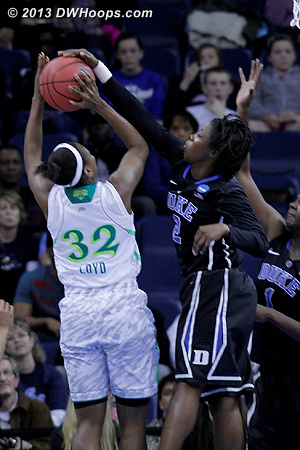 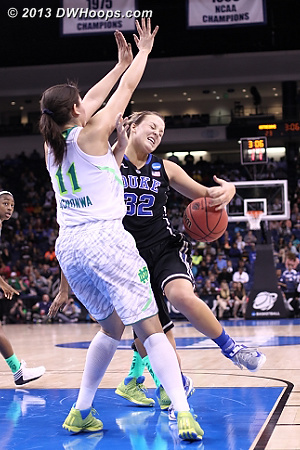 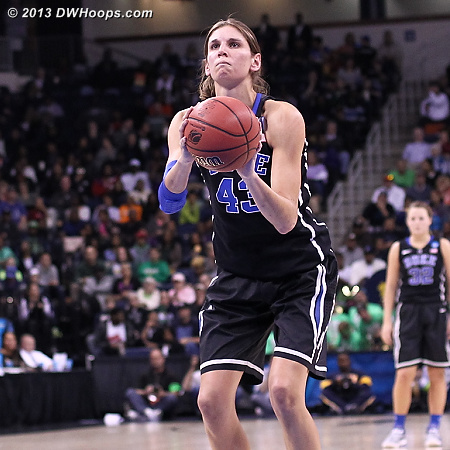 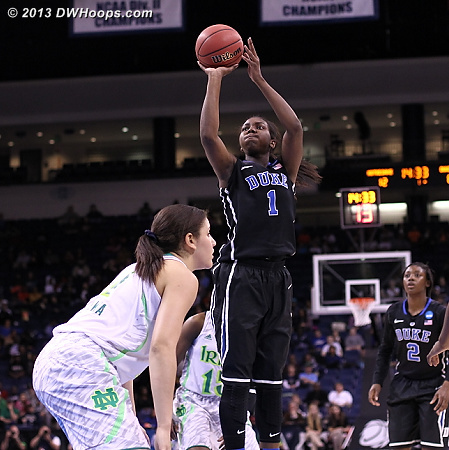 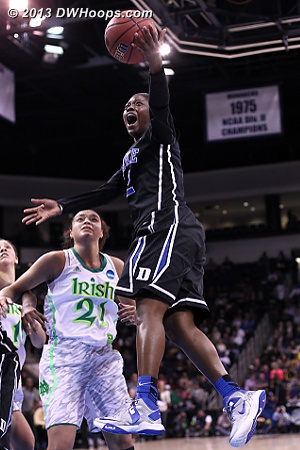 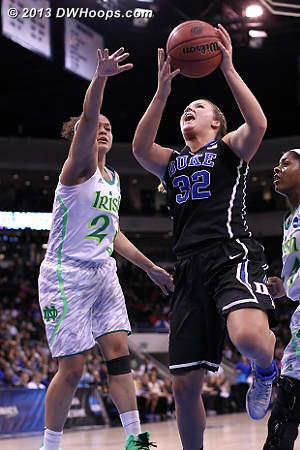 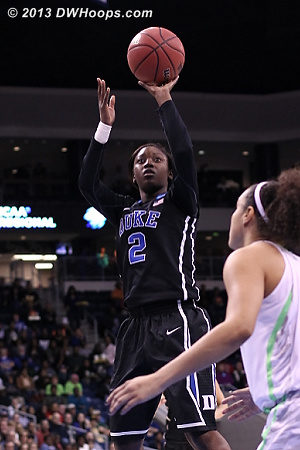 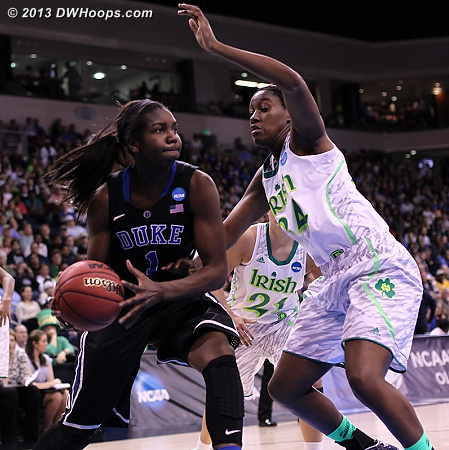 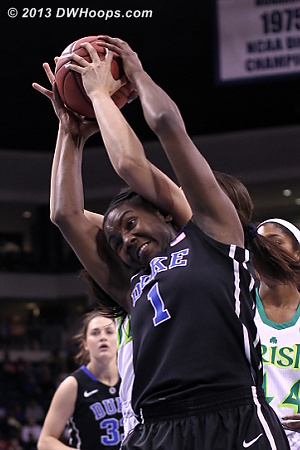 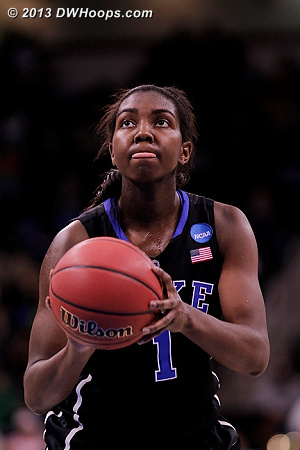 Chloe Wells drains a three to end the first half, Duke leads 37-31. 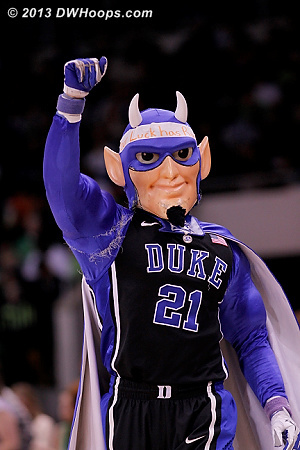 Devil headband said "Your Luck has Run Out" - technically true. 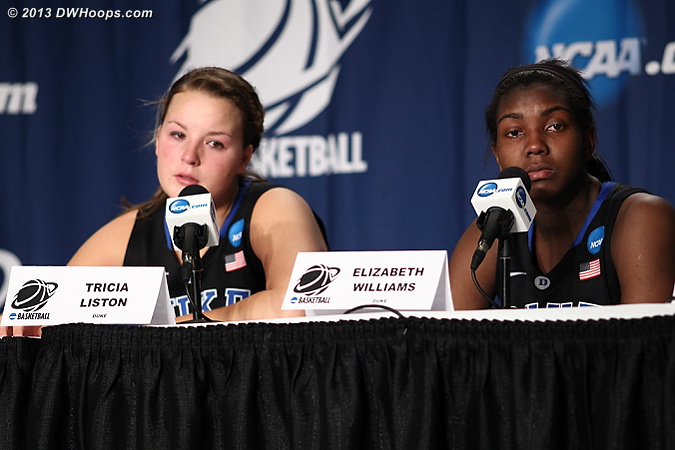 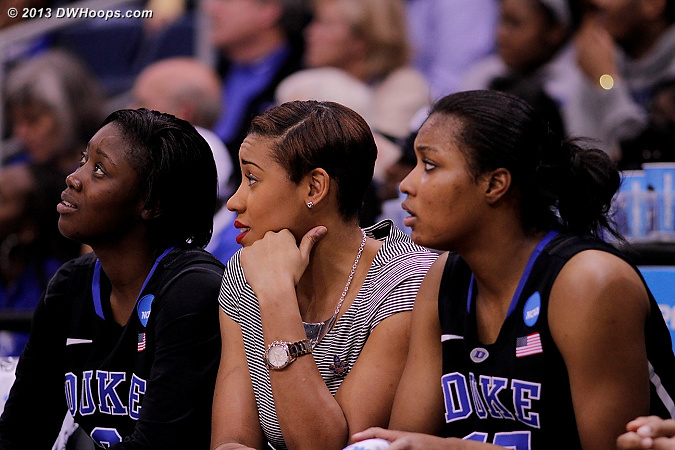 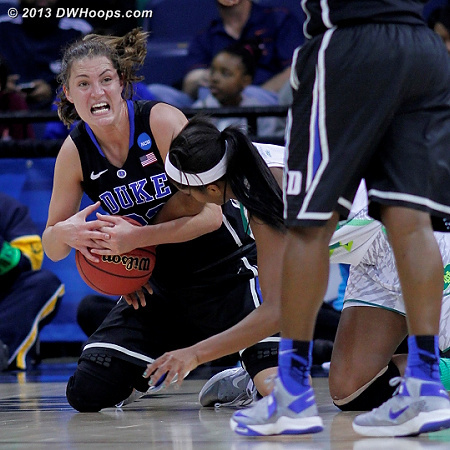 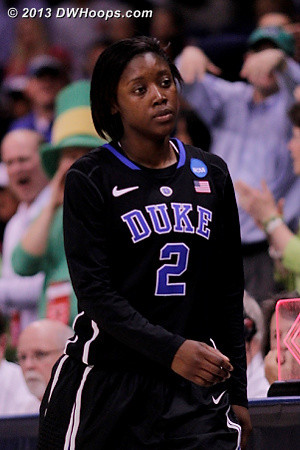 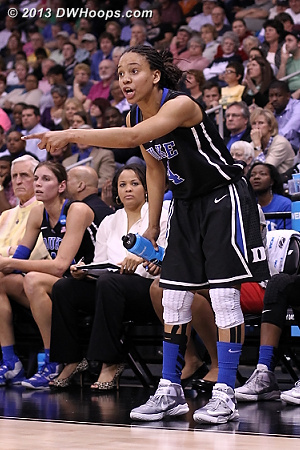 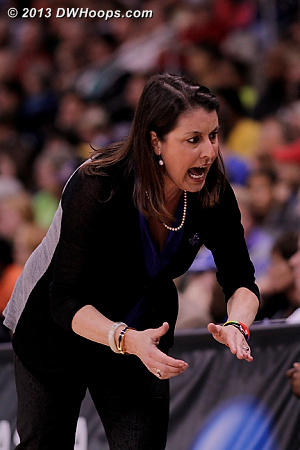 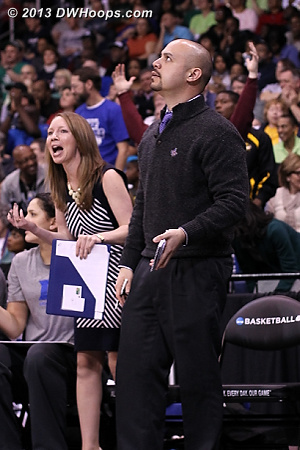 Kayla McBride getting in the way of Vernerey after hitting a three and a Duke time out. 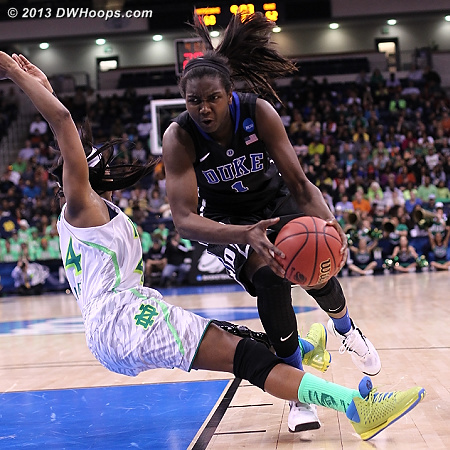 Jones back in with four fouls, hitting a jumper and getting fouled. 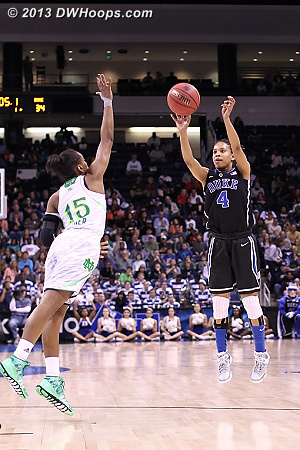 After the free throw, Duke trails 50-45. 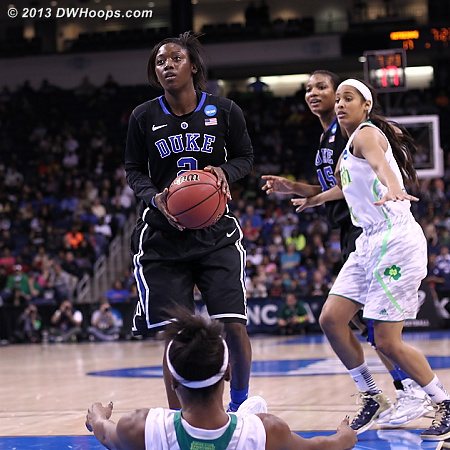 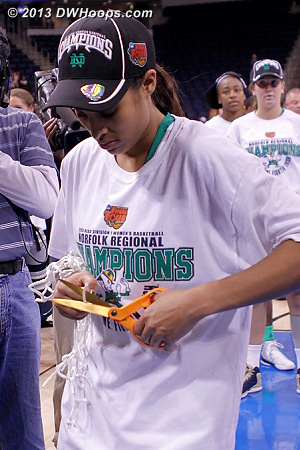 Alexis Jones heads to the bench with five fouls. 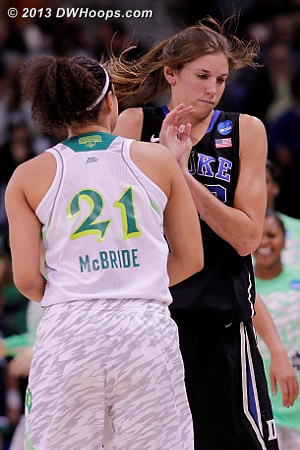 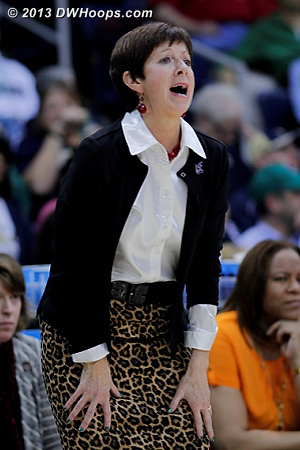 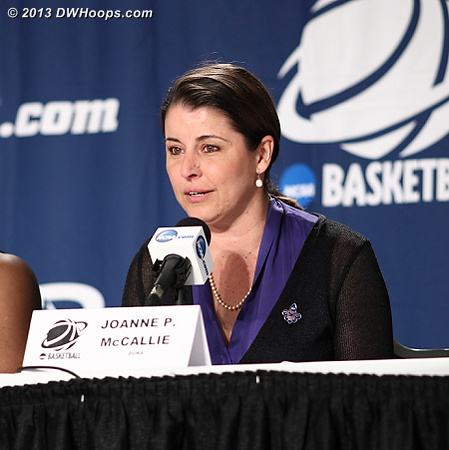 She couldn't have had a tougher matchup in this tournament. 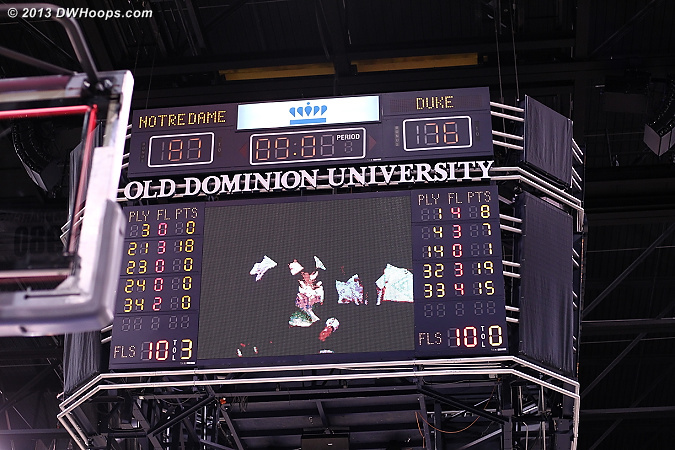 Ballgame. 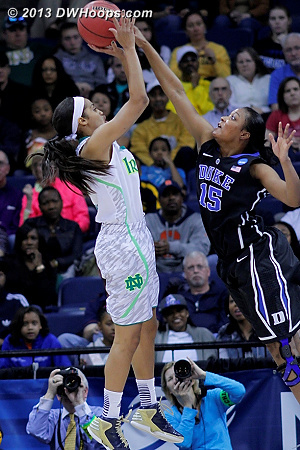 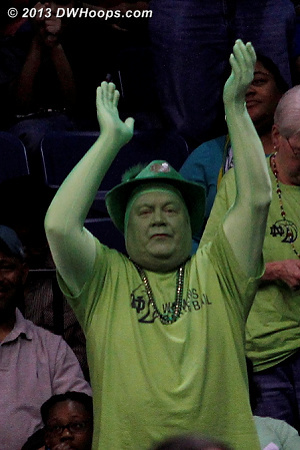 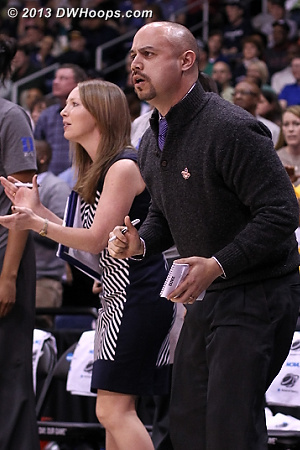 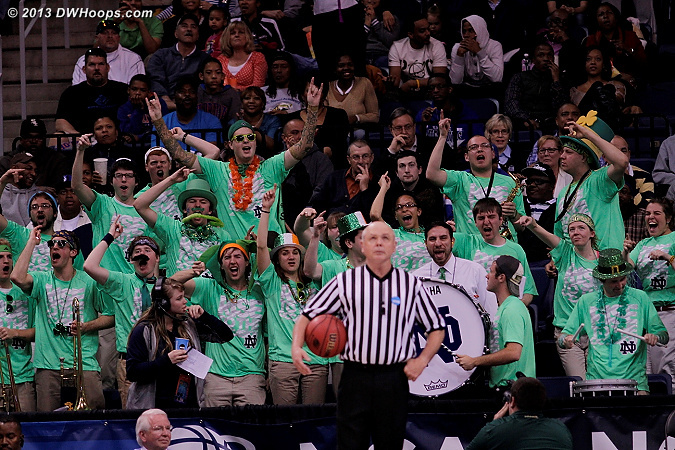 Notre Dame 87, Duke 76.